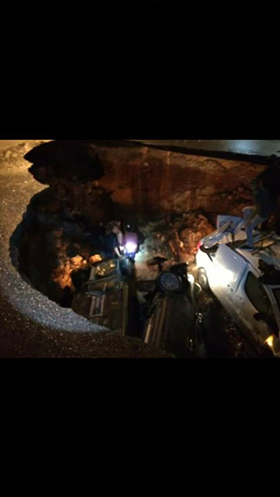 A large sinkhole opened up on a highway near Ben Aknoun, a suburb of the city of Algiers, Algeria on November 18, 2016. 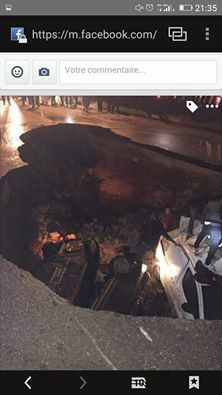 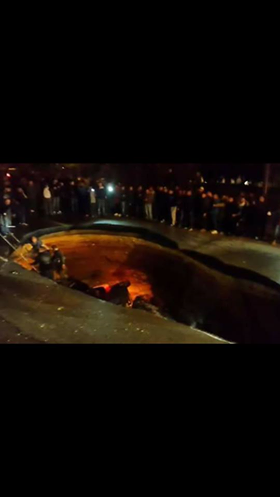 Five cars fell into the 4 meters (13 feet) long, 6 meters (19.7 feet) wide and 4 meters deep hole, injuring a total of 11 people. 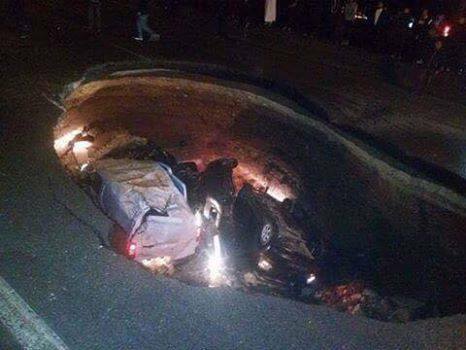 The giant sinkhole opened on the highway towards Ben Aknoun, near the city of Sahraoui. 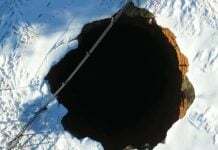 The hole is currently 4 meters (13 feet) long, 6 meters (19.7 feet) wide and 4 meters deep, and is still expending according to local reports. 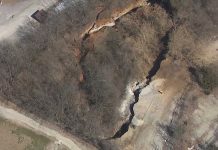 Eleven people were injured and hospitalized. 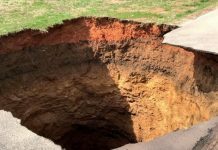 The cave-in occurred after the region experienced heavy rainfall over several days.